Aliens! Explosions! Menstruation! 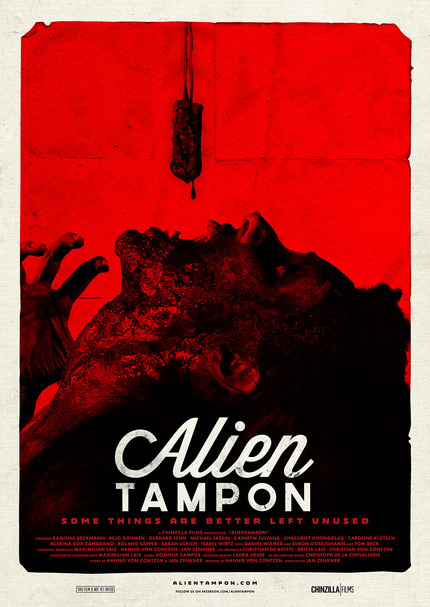 It's The Full ALIEN TAMPON Trailer! Yep, some things just sort of speak for themselves and I'm sure that the creators of Alien Tampon are very much hoping that this is one of those things. Very much a deliberate cult project out of Germany, a first teaser for this twisted scifi horror romp arrived just a week or so back and has now been followed by a much longer offering. Clocking in at just under three minutes this one has more of everything. More alien craft. More explosions. More swords. More high school teen queen bitchiness. The trailer is, however, all that there is at present as its meant to help fuel interest in a full feature project so take a look and if you like what you see then help spread the word to drive the full feature forward. I didn't knew I had standards, until now.